Thank you for your interest in SUNY Orange. The College offers three types of academic degree programs: Associate in Arts (A.A.), Associate in Science (A.S.) and Associate in Applied Science (A.A.S.). The A.A. and A.S. degrees prepare students for transfer to four-year colleges and universities, while the A.A.S. degrees are designed to provide two years of college-level studies with emphasis on developing technical and professional competence for entry in a specific career. Additionally, SUNY Orange offers certificate programs that assist students in developing job entry skills at the collegiate level. To comply with federal government regulations, SUNY Orange publically publishes information on our academic certificate programs. 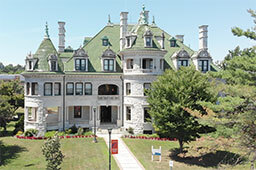 SUNY Orange is accredited by the Middle States Commission on Higher Education and all programs are registered by the New York State Education Department and State University of New York.